Throttle: Makes the quad ascend (climb) or descend (come down). The good news is that you will not have to memorize the terms above, or study how those different propellers propel (unless you want to become an expert pilot). But you will have to master these functions in order to fly a drone. 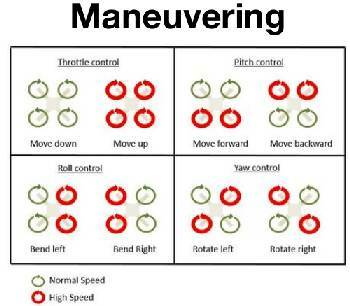 You control all of these movements with the hand controller and it's various buttons and joysticks, and there is a definite learning curve. 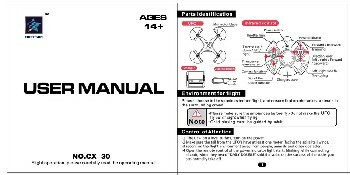 The best thing to do is get out the manual to your drone and just follow along how your particular controller performs these motions. 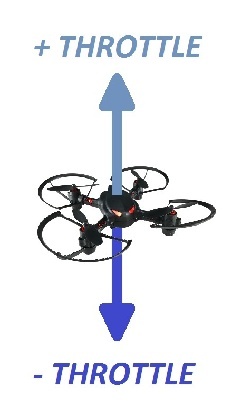 There are two basic modes of drone flight that any cheap nano drone (but above the toy level) provides: "Manual mode" and "Self-level mode". Although the self-leveling mode is not perfect, it's great for those first learning to fly. 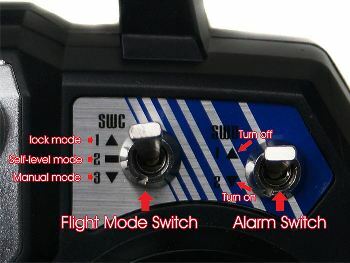 Manual Mode: In manual mode, the copter does not level itself. Once you tilt it, it keeps on going in that direction until you manually correct it. Manual mode can be pretty hard to control for a beginner. So it is recommended that when you first start learning, turn on self-leveling and all the auto-flight features your drone has. This will help you learn the basics and build your confidence. After you have mastered basic control, take the time to learn to pilot your drone in manual mode. The drone rides much smoother in manual, which makes for better video. It's pretty easy to control Manual Mode once you get used to it. The higher-end drones have so many automatic features, stabilization, altitude hold and collision avoidance, that they actually are easier to pilot than the cheaper drones. But if you want to become proficient in this sport, learn how to fly and become expert at maneuvering your 'copter in the most basic modes. There's time for "autopilot" later on. Take the time to learn how to fly your drone before it ever hits the sky by reading its manual cover to cover, understanding which controls perform which operations, and by thoroughly inspecting the unit. Become thoroughly familiar with the transmitter. Learn the basic functions such as return to home, headless mode, self-leveling mode, rates switch and so on. You need to understand the concept of orientation and Headless Mode before you get started. But it is really quite simple. 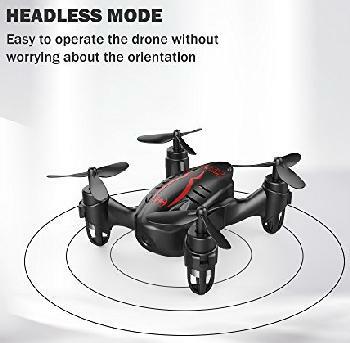 Every drone has a front and a back. When you and your drone are both facing forward (front), pressing the left joystick of your controller will turn your drone to the left. But after flying around for a while, your drone may well end up with its front facing you. This means the controller and your drone front are facing in opposite directions. In this situation, pressing left would actually send the drone to your right. This could be very confusing, especially for the beginner, and may well cause a crash. You would have to be constantly checking which direction that drone is facing and make corrections in your joystick operation. Headless Mode to the rescue! Once this function is activated, the problem is automatically solved. The drone will always go to the left when you press left and to the right when you press the right stick, no matter which way it is facing. You are relieved of the task of always knowing which way your drone is pointed. Tip: Always have the controller and the front of the drone facing the same direction when you turn Headless Mode on. 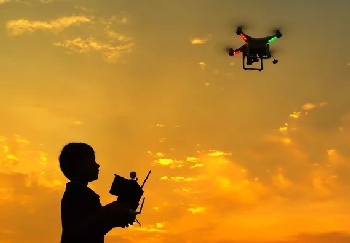 Return To Home: On a GPS-powered drone (high-priced), you should first wait for the drone to lock on to GPS satellites before you start flying. This lets the drone know exactly where it is before takeoff, so when you hit the Return To Home (RTH) button, it knows where to go. Budget drones may have an RTH function, but no GPS. 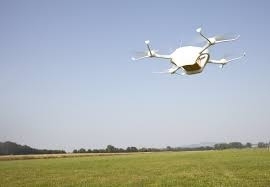 It attempts to return the drone home by reversing its flight to the direction it came from. Just remember that you must be in Headless Mode before hitting the RTH button. Make note of what time your flight starts so you will know when you are close to end of battery life. Bring it on home before it dies and falls from the sky. Let your drone "cool off" at least ten minutes after each flight. The cheaper ones may overheat. Go to a large open field with no obstacles such as trees, buildings, bodies of water or power lines around. Don’t fly near people or properties. Where would you fly a kite? Same situation. If there's a beginner's mode or low skill level on your drone, choose that. Now it’s time to practice your skills. Take off and climb a couple of yards, practice hovering, flying from point A to point B, and landing. Fly slowly. Here is a detailed and excellent beginner's guide. Hovering is actually harder than it looks, but mastering this skill is essential. 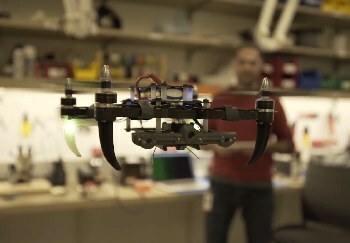 Proper hovering allows better control, which results in better video footage. Hovering is also the key to crash-free indoors droning. Practice, practice, practice hovering. Once you have mastered the basics, try to get used to piloting a drone in Manual Mode and without Headless Mode; as this will make you a more versatile and expert UAV pilot. Useful tip: If you're about to crash into something, quickly steer away from the object. If collision is imminent, quickly turn the throttle down to zero! This helps keep damage to your drone and other objects to a minimum. You cannot fly your drone higher than 400 feet in the air. You cannot let the drone leave your direct line of sight. You cannot use your drone for commercial purposes, such as aerial photography, unless approved by FAA. You cannot fly near manned aircraft, especially near airports. No closer than 5 miles to an airport. You cannot fly over groups of people, stadiums or sporting events. You cannot fly near emergency response efforts. 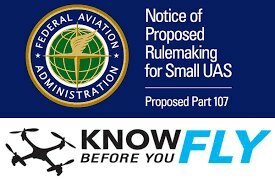 You cannot fly a drone weighing more than 0.55 lbs without registering it with the FAA (see below). Do not spy on your neighbors with your drone, unless a felony record sounds like fun to you. Do not fly if the wind is stronger than 10mph. Do not fly over that lake unless you are an expert. You need to register your UAV if it weighs between 0.55 lbs. (250 grams) and 55 lbs. (25 kg.). Most drones above toy level are that heavy, and DO require registration. Each flight of a registered drone must be preceded by a mandated pre-flight check by the pilot to ensure the drone is safe to fly. Yep, our tax dollars hard at work! Registering is actually pretty simple. You go online, fill out a form and pay a small license fee (but of course!) Then you print out your new aircraft registration number, and attach it to your drone. What if I just don't want to register my drone? Failure to register an unmanned aircraft that is required to be registered may result in civil penalties up to $27,500. 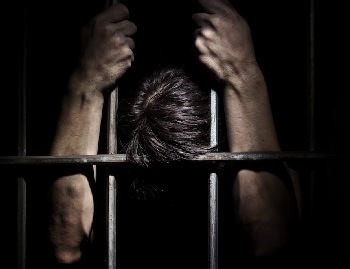 Criminal penalties include fines of up to $250,000 and/or imprisonment for up to three years. Fuzzy about the different means of controlling drones? We tell all here: Understanding Drone Controllers. Check out our recommendations for some awesome drones: Drone Buying Guide. Start at Drones 101 if you haven't already been there. On to other RC hobbies.